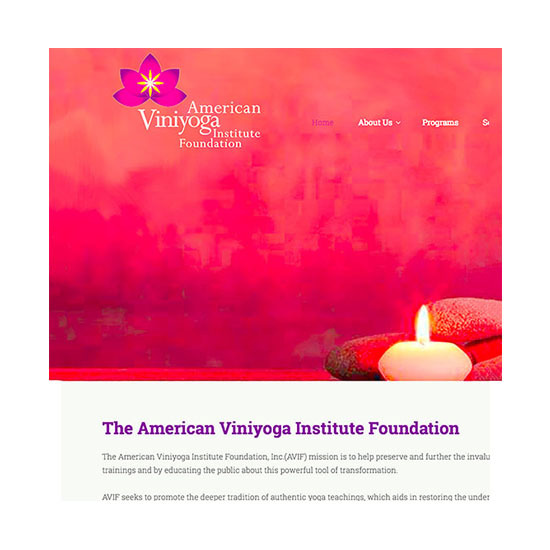 The American Viniyoga Institute Foundation, Inc. (AVIF) mission is to help preserve and further the invaluable tradition of Viniyoga by providing scholarships. AVIF requested we create an Interactive Branding/Logo Design & Website Design/Development for them. We researched the best keywords for AVIF and optimized the website, helping them obtain more donations for their foundation. 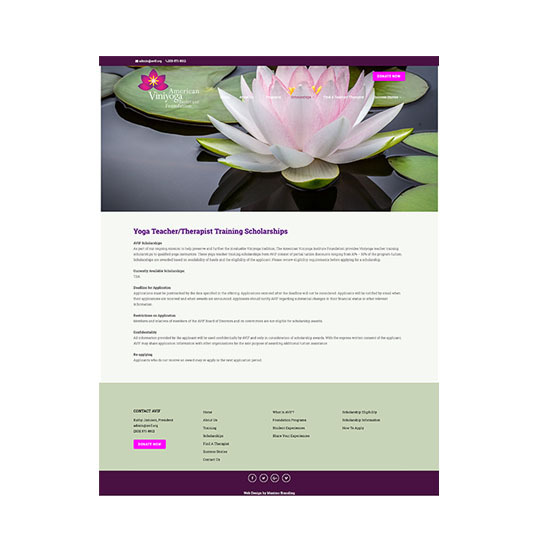 A website can be a forgettable brochure. We focus the experience so that their expectations are far more than met. It’s your most important opportunity to connect. Today’s market requires companies to have interactive branding campaigns. Take a second and consider how you have built your marketing and branding campaigns to be interactive. Where do you expect to connect with your customers? Are you a part of those conversations? If not, you need to work on a strategy that desires and creates interactions and really speaks (and listens) to your customers.